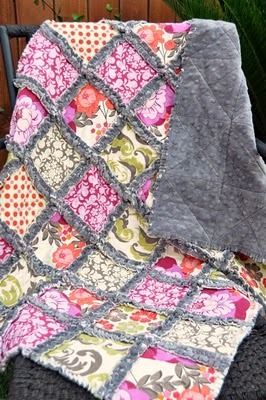 What a great day to round up some wonderful rag quilt tutorials for our readers. The snow is falling, the fire is roaring and I am under a warm quilt. 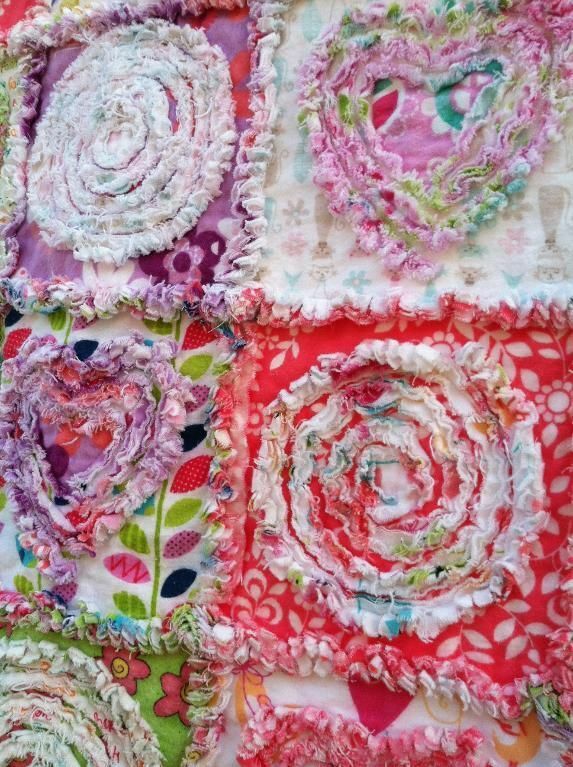 Did you get a chance to read our tips for creating rag quilts? Bitten by the rag quilting bug, we visited sites around the web for inspiring rag quilt projects and blog posts. Here is what we found for our rag quilting round up. Enjoy! 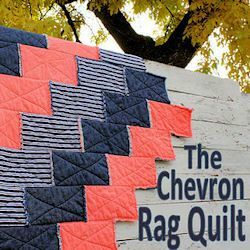 We like the unique design of Ricochet and Away’s Chevron Rag Quilt. The designer wanted to create a big boy quilt for her son and was inspired by the colors of his boy scout uniform. A full step by step tutorial and supplies list is available on her blog! 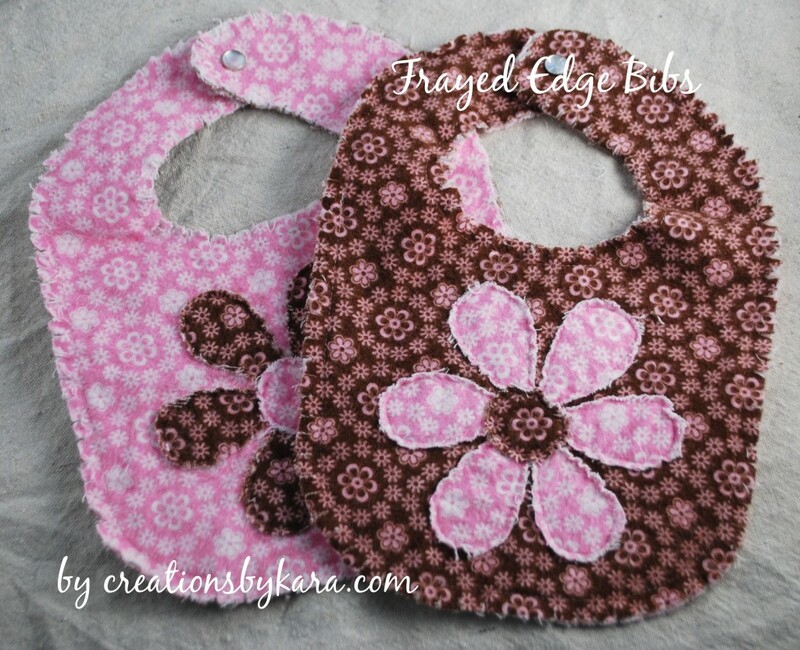 These frayed edged baby bibs are so rustic and cute for baby! This would be a great evening or weekend project. This pattern only takes a 1/4 yard. Time to destash and start making enough to give as gifts. A full tutorial with step by step photos is available on Kara’s blog. 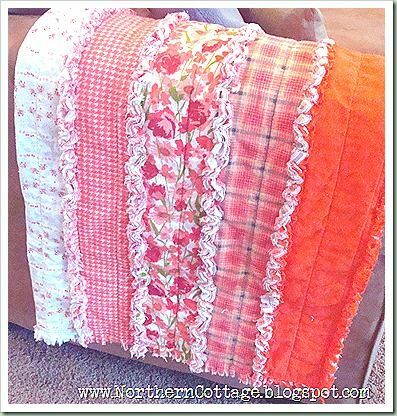 If you are looking to make a traditional patchwork rag quilt. The Crafty Blog Stalker’s tutorial will inspire you. As part of her fabric selection, she repurposed her daughter’s well worn “minky” blanket that her Grandmother gave her at birth. Love that idea! And finally.. We couldn’t find a tutorial on this one but ran into it on Pinterest. 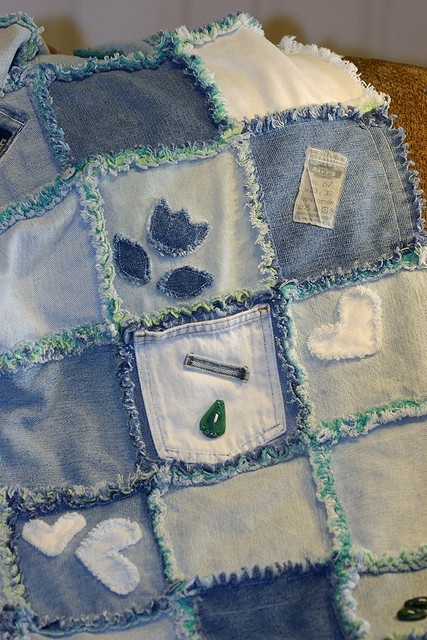 We just love the idea of adding appliques to the denim squares! What a sweet idea to include a pocket from the jeans the designer most likely used to create this quilt. If you have a chance to check out any of tutorial, or you have a rag quilt to share, we would love to hear from you! Hope you enjoyed our rag quilting round up! This entry was posted in Designers, Fun!, QuiltWoman, Tutorials and tagged blog round up, QuiltWoman.com, rag quilt tutorials, rag quilts. Bookmark the permalink. Awesome! Thanks for the ideas and links!